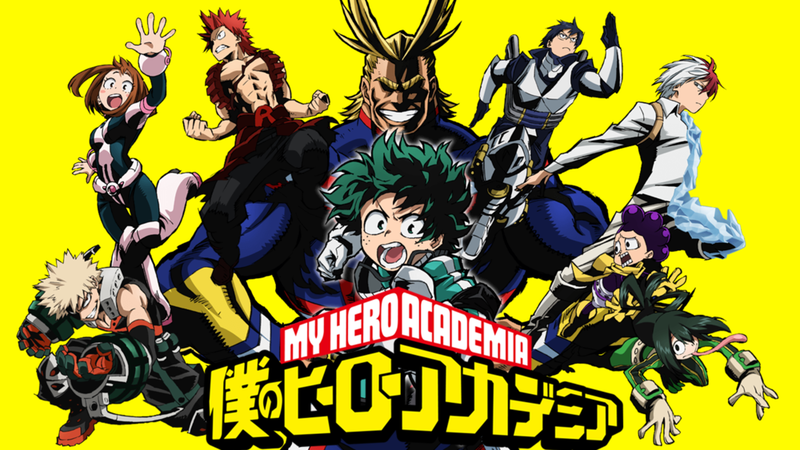 My Hero Academia is an excellent anime, featuring a group of classmates going to the number 1 high school for aspiring super heroes. An ensemble of interesting characters makes it seem like a living, breathing world. In this setting, the majority of people are born with “quirks”, or super powers. Some are minor mutations, and others are big, flashy and powerful. Because of this change, being a professional super hero is a valid career, with a salary and everything. Young kids with quirks that want to be superheroes apply to U.A, the number one high school for super heroes. Aside from their normal classes, they also receive training on using and developing their quirks, and becoming stellar super heroes. I’ve been playing a lot of the Masks Role Playing Game lately, and the show captures a lot of the important elements from the game. Big emotions, dramatic scenes, and developing powers are all important in Masks, and the show has them in spades. 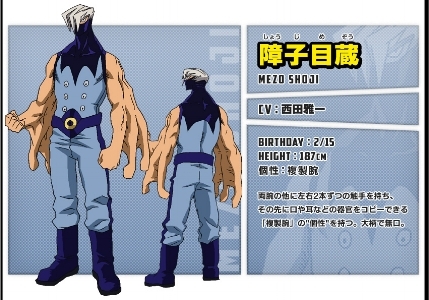 I’ve listed some of the main characters from My Hero Academia, and assigned them a corresponding playbook in Masks. 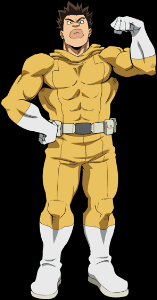 If you want to play a character from My Hero Academia, this might help you get the right feel! 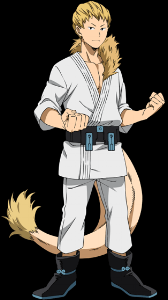 Izuku Midoriya- Midoriya is the main character of the show, and fits within a few possible playbooks. The Legacy is the immediate fit, as Midoriya literally has All Might’s legacy. The Doomed could also work, if you consider All Might’s impending death and the overall villain of the story as the possible ‘Doom’. The Protégé models Midoriya’s leadership and analytical skills, and keeps All Might directly connected to the playbook. Katsuki Bakugo. He’s The Bull, absolutely. Bakugo’s personality aligns perfectly with the Bull; you even get to pick a rival! Ochako Uraraka- The Nova is the closest fit, especially since it has gravity control. 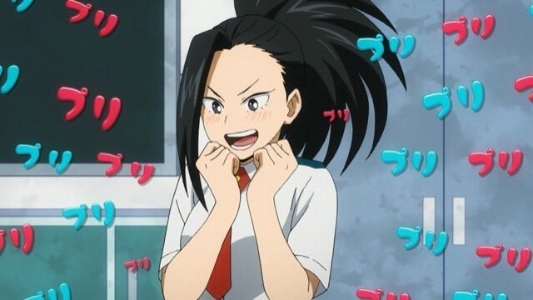 Her quirk is more support focused, so you can pick moves and abilities that allow you to support others and manipulate the environment. Tenya Iida- The Legacy. His family are superheroes, and he is following in their footsteps. Give him a super speed power and you're good to go. Shoto Todoroki- The Nova. His powers are big, flashy, and easy to lose control. Elemental control is also one of the standard options with the Nova as well. 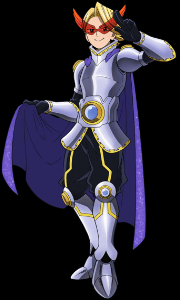 Yuga Aoyama- The Star. Rather, he wants to be The Star. Tsuyu Asui- This one is tough. Asui is a strong, stable influence. She’s almost handled better as an NPC, as she seems unlikely to get into arguments or fights like other characters. She could be a modified Janus or The Joined. Momo Yaoyorozu- Her family is wealthy, so the Protégé would be a good fit. Because all of the kids in the anime have powers, The Beacon will almost never be used. However, because she creates mundane objects, an argument for the Beacon can be made. Mezo Shoji- The Transformed. His body is obviously weird, and his associated powers align with the Transformed. Eijiro Kirishima- He’s a good candidate for the Bull. He tries to overcome obstacles with brute force. Mina Ashido- The Outsider! I know she’s not really an alien, but she looks just like the default picture. She even references how alien she looks! Toru Hagakure- Because her only quirk is invisibility, the closest I can think of is the Beacon. Kyoka Jiro- Another hard one, possibly handled better as a NPC or support. Perhaps the Janus? Minoru Mineta- I hate him. The Delinquent? I’m not going to spend more time on this creep. Denki Kaminari- The Nova, because his powers are elemental in nature and have a very bad drawback. Fumikage Tokoyami- I want to go with the Doomed, but I’m not sure what his ‘Doom’ would be. Overall, the Doomed is the gloomiest of the playbooks, and he seems like the gloomiest person! But, somehow in a cool way. Mashirao Ojiro- The Beacon might be a good fit here. His quirk is a tail, but it’s not a power in and of itself, so the Beacon could still work. Hanta Sero- Yikes, this one is hard. His tape is definitely a power, but could be seen as a type of equipment, so the Beacon might apply. Additionally, the Janus has some similar powers. Koji Koda- We don’t know much about Koda, so it’s hard to pick a playbook for him. Rikido Sato- The Bull would fit his style, especially with the declining brain function. Masks is a great game, and one of the playbooks, the Beacon, has one of the best design features for a character that I have ever seen. For those that don’t know, the Beacon is the normal person on the team. They don’t have superpowers. They might have gadgets and skills, but they’re just a normal person trying to do good in a team of super powered friends. The Beacon has a feature called Drives. The Beacon has a list of tasks or goals to accomplish. Because Masks is a teenage superhero game, these include things like “get a new hero name”, “punch someone you probably shouldn’t”, and “pull off a ridiculous stunt”. Each session, the Beacon chooses four drives to work on. If they accomplish it, they get to mark it off and get a reward. Once a drive has been marked off, it’s permanently done. If you mark off all four in a session, you pick four more. The beauty of this feature is that drives give you things to strive for. They’re almost a kind of role playing prompt. Regardless of whatever mission or story you’re participating in, drives are the motivations for your character. With drives, you are never caught at a time where you don’t know what to do. If there is nothing else happening in the game, you can push to complete one of your drives. The limit of four drives at a time is a great decision. It gives focus to your drives and goals. Having a list of 20 drives that you could accomplish would be overwhelming and feel chaotic. Instead, the act of picking four means that you are aware of what you want to do, and can do it with a focused approach. The last beauty of drives is specific to Masks. In the game, if you are able to complete all of the drives, you have a choice to make. You either pick a new playbook and use that going forward, retire from the superhero life, or become a paragon of the city. This highlights what Drives are to a Beacon. They’re a measure of accomplishment. A Beacon is defined by having drives that they want to achieve. Once they’re all done, they have nothing else they need to do in the game. If they want to keep playing with their team, they have to pick a new playbook, because they’re no longer driven by their drives; they’re a different type of person. If they retire, it’s because they’ve accomplished everything they want to from the superhero lifestyle. If they want to keep going down the same path, then they become a paragon of the city, an NPC. Drives are an amazing feature that should be included in as many games as possible. I love this mechanic, and will be looking for ways to implement it into other systems. 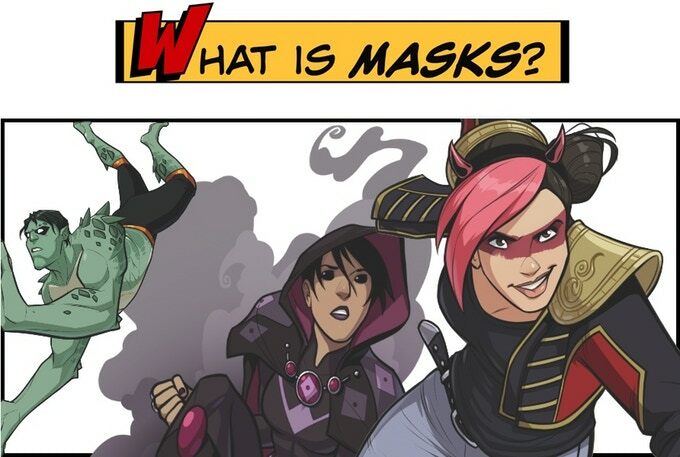 What is Masks? An awesome game. Have you played a Masks game? If so, what do you think about the Beacon’s drives? Let me know! I have been running a game of Masks for the last couple of months, and I love the system. I’ll talk about the system itself at some point later, but I just had a very cool event occur in our game that I wanted to share. Nexus (The Transformed). Fused with an alien silicon based life-form, and now looks like an android. Technomancy powers. Firefly (The Outsider). Princess of a bee-like alien planet, partying on earth while avoiding her royal duties. Psychic powers. Jishaku (The Reformed). Daughter of the Iron Emperor, Japan’s equivalent of Magneto. Turned away from her father and is trying to be a hero. Magnetic powers. Friction (The Janus). Physics geek who wants to prove that she’s not ‘boring’. Control of friction. At the end of the previous session, Friction received a call from her younger brother, Jack. A villain named Teegan Queen spoke instead, stating that she had kidnapped Friction’s brother and wanted her to come to a location, alone. Friction went to confront Teegan Queen, stealthily infiltrating a surprisingly empty mansion. Upon finding Teegan, she began to fight but locked eyes with a large mirror in the hallway. Her reflection was wearing a different costume. Friction suddenly felt ill, as the world seemed to wobble. When her senses returned, she found herself face to face with her reflection outside the mirror, who seemed to hold a special hatred for Friction. The two of them began to fight, and Friction was able to remove the doppelganger’s mask, revealing herself but aged a few years. As the fight progressed, the doppelganger revealed herself as Friction from the future. In her future, Jack died because she wasn’t strong enough to save him. Now that she’s older and stronger, she sees this as an opportunity to save Jack and live in a new timeline. Then Friction’s player surprised me. Friction acknowledged that her future-self was stronger, and better suited to save Jack. She surrendered to herself. Future Friction, full of contempt for her past self, threw young Friction through the mirror and shattered it. Now, future Friction will live in the past and change the timeline. This was an incredible moment, and has opened up so many interesting possibilities. For now, we are going to have Friction’s player control her future self, without letting her teammates know about the change. Even better, one of our players, Firefly, wasn’t able to make the session. She has NO IDEA about what happened, and we’re going to keep it that way. We aren’t going to tell her about the scene, and see if she is able to notice anything different. What is Masks? A way to throw as much drama and teen angst at a game as possible. It's the best. This is sure to be an exciting game, and I can’t wait to find out what happens next!